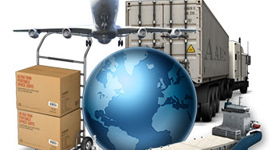 (3PL) A Third Party Logistics company is a company that provides multiple logistics services for use by customers. 3PL’s allow businesses to outsource part or all of their supply chain management function while maximizing resources, expertise and profitability. 3PL’s typically like Wolf Warehousing provide integrated operations involving warehousing, fulfillment and transportation services that can be customized to a customer’s requirements. These services commonly include; receipt of inbound freight, warehousing, inventory management, order fulfillment, distribution and outbound freight. Services often go beyond logistics and include value-added services that integrate parts of the supply chain in such areas as production, assembly or procurement of goods or services. While all 3PL’s offer basic pick and pack, warehousing and distribution services many others offer advanced value-added services such as tracking and tracing, cross-docking, and customer specific packaging. Some go as far as taking over complete control of a company’s logistics activities and may even go as far as fully integrating itself with a customer. In general Third Party Logistics Companies are one of three types: Asset Based – use their own trucks, warehouse and personnel to operate their business. Management Based – provide technological and managerial services to operate the logistics functions of their clients. Integrated Providers – can be either asset or management based and supplement their services with whatever services are needed by their clients. If you have other questions please contact us at (909) 295-6977 or on our Contact Us page. 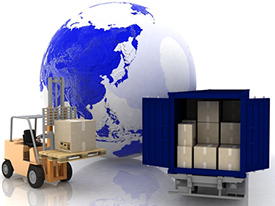 Third Party logistics companies are becoming more involved part of today’s supply chain. They offer businesses the opportunity to lean out their processes and reduce their fixed asset costs by eliminating the need for expensive warehouse equipment and storage space. 3PL customers can save even more money by reducing labor costs and maintenance costs, all while allowing businesses to focus on their core competencies. The decision to outsource parts or all of a company’s supply chain functions to a 3PL depends on a variety of factors and is different for each individual company. Some of these factors are business model, future objectives, products, locale, customer base, etc..
Free up time and resources to focus on what you do.